If you've followed my Twitter feed recently you know how much I am enjoying pinhole photography at the moment. I was kindly given a Holga 120WPC at Christmas and the first roll had me hooked. News that the Pinhole Photography Festival was starting this year in Edinburgh brought a smile to my face and I arranged time off work to spend a day in the Royal Botanical Gardens taking photos and enjoying the festival. The exhibition is just fantastic and a true representation of what can be done with pinhole photography. 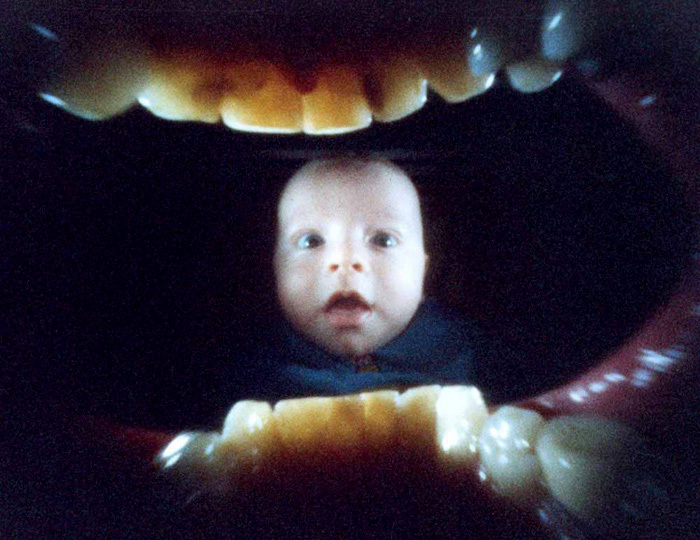 On one side you have Justin Quinnell who created a pinhole camera from a 110 film cartridge and takes photos from inside his mouth with the back of his teeth framing each shot. 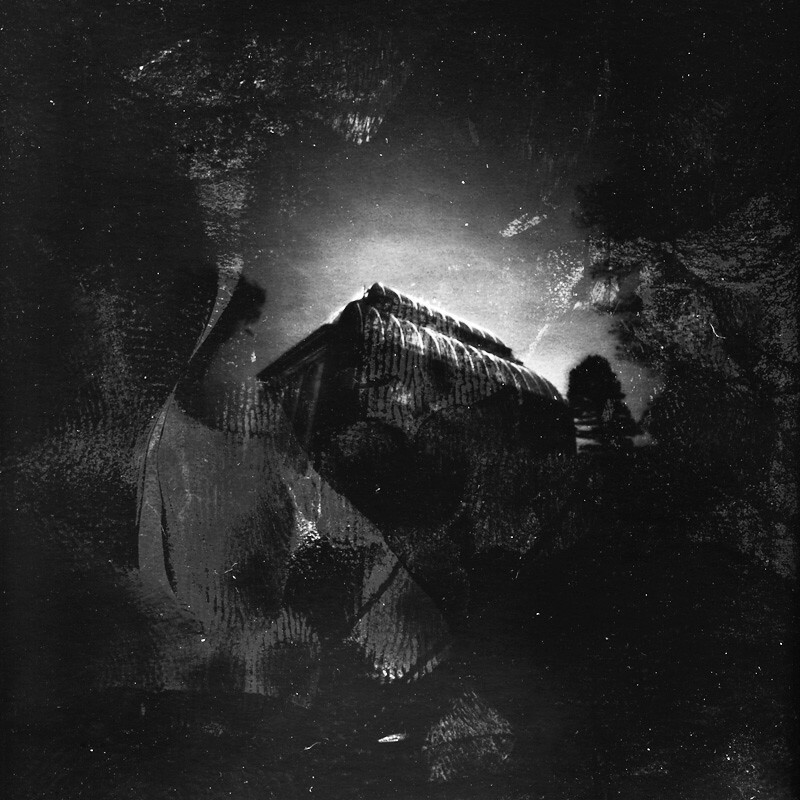 On the other side you have Kenny Bean and his pinhole camera made out of a wheelie bin creating huge negative prints. The other photographers on show are equally impressive; among my favourites were Katie Cooke's portraits which are dreamy and usually involve staged movement. I actually saw one of her camera's prior to the show due to an unrelated visit to local photographer/filmmaker/poet, Alastair Cook's house to pick up film and it was a box for the game Boggle taped up, and with a black tape shutter. Minnie Weisz had some very interesting camera obscura photographs taken in abandoned hotels and apartments in London. Sadly I can't find a legitimate photo of these but I would encourage a look at her website. Edinburgh's local lo-fi group were also on display there - Graham Pow had his photograph of the Glasshouses at the Botanical Gardens taken with a homemade Easter egg camera. Other than the exhibition, there were daily workshops in pinhole photography for beginners and an on-site darkroom for processing prints which was all free. Elsewhere, Stills Gallery were offering a more advanced weekend course in pinhole photography for a price, £109, and Camera Obscura had children's course at the weekend. It's the first Pinhole Photography Festival in Edinburgh so it's early days as it finds it's feet. The location within the Botanical Gardens is possibly it's biggest limitation - the opening times of 10am until 4pm weren't great if you wanted to pop along after work. On the day I went, and unfamiliar with the Botanical Gardens, I did a full lap of the grounds until I eventually found a sign for the festival which pointed to a building tucked away behind the glasshouses. Inside, the exhibition space was quite impressively vast for it's first incarnation and there is definitely more they could have done with the floor space - examples of various pinhole cameras including its sponsor's camera on show, the Ilford Titan 5x4, which was nowhere to be seen. I hope to see this event grow and grow. The artists were of a high caliber and the events were very interesting, albeit at bad times. I'm looking forward to next year and to see what they have learned from this time around.